Trailer Hitch #90981. Part Number: 90981. 1997-2005 Buick, Century, Sedan 30 min Drilling Required. Hitch crosstube concealed behind bumper. 2005-2009 Buick, Allure, (Canada Only) 30 min Drilling Required. Hitch crosstube concealed behind bumper. 1997-2005 Buick, Century Sedan 30 min Drilling Required. 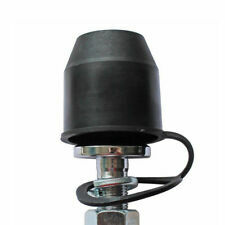 2" Hitch Ball 63821 (Included). 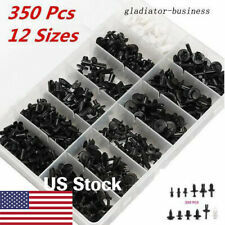 2" x 3/4" x 1-1/2". Part Number: 90981. Easy do-it-yourself tow vehicle wiring kits for applications without T-One Connectors. Part Number: 90981. Trailer Hitch & Wiring #90981-118002. Hitch crosstube concealed behind bumper. 1997-2005 Buick, Century Sedan 30 min. 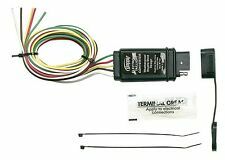 4-Flat Wiring Kit 118002. 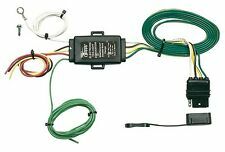 Easy do-it-yourself tow vehicle wiring kits for applications without T-One Connectors. 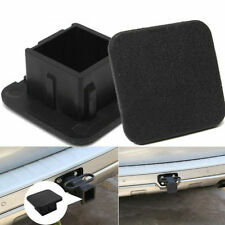 This Hitch Fits The Following Vehicles: 1997 - 2005 Buick, Century, Sedan 1997 - 2003 Pontiac, Grand Prix, SE Sedan 1998 - 2002 Oldsmobile, Intrigue, All Styles Part Number 24659 Brand Draw-Tite Finish Black Powdercoat Class 1 Receiver size opening 1-1/4" Max gross trailer weight 2,000 lbs Max GTW w/ weight distribution N/A Max Tongue Weight 200 lbs Warranty Lifetime Installation Instructions [! [image] (https://www.trailerjacks.com/image/catalog/pdfdownload.jpg)] (https://www.trailerjacks.com/image/catalog/N24659.pdf). Draw-Tite Class II Frame hitch part number 36374 is a 1 1/4" receiver style trailer hitch. It has a black powder coated finish and includes a limited lifetime warranty. This trailer hitch was designed specifically for the vehicle listed and features solid welded construction for maximum strength and a custom fit . The kit comes complete with all the mounting hardware needed for installation and do it yourself instructions with pictures. Trending at $30.59eBay determines this price through a machine learned model of the product's sale prices within the last 90 days. BX7425 Blue Ox Avail Tow Bar 2.5" Receiver Fits Wide/Narrow Towed Vehicles Black. MPN: 20268. Premium Remanufactured Alternator. Overdrive has been in the automotive parts industry for over 15 years. FIND THE RIGHT PART FOR YOUR CAR. QUICK LINKS. MIRROR ASSEMBLIES. MIRROR GLASS. OTHER PRODUCTS. DISCOUNT HITCH CENTRAL Questions or Comments? Call 702-374-8999 This Product Fits The Following Vehicles 1997 - 2005 Buick, Century, Sedan Wiring harness involves splicing of the wires. Product Picture Part Number Product Description Installation Instructions 246590 Draw-Tite Sportframe Hitch & Drawbar ---Economical Class I Receiver Style Hitch ---1-1/4" Square Receiver Tube Opening ---Includes Removable Drawbar, Pin and Clip ---Attaches to Frame and Bumper ---A-Coat Base w/ Black Powder Coat Finish ---Rated up to 2,000 lbs. DISCOUNT HITCH CENTRAL Questions or Comments? Call 702-374-8999 This Product Fits The Following Vehicles 1997 - 2005 Buick, Century, Sedan Wiring harness involves splicing of the wires. Product Picture Part Number Product Description Installation Instructions 36374 Draw-Tite Frame Hitch ---1-1/4" Square Receiver Tube Opening ---Removable Drawbar, Pin and Clip Sold Seperately ---Neat Appearance, All Frame Attachments ---A-Coat Base w/ Black Powder Coat Finish ---Rated up to 3,500 lbs. Description: 100% Brand NEW Never Used or Installed Hitch Receiver: 2" Stainless steel with a high polished chrome finish Adjustable 3 Slot Keep dirt and debris out of the trailer hitch receiver Hollow shaft design prevents jamming and rusting Uses same drawbar pin that your trailer uses (not included) BUICK With CHROME Background Dimensions: 3 5/8"x3 1/8" (WxH) Compatibility: Universal fit on Most Pick up Truck & SUV with 2" Trailer Hitch Receiver Package Includes: . DISCOUNT HITCH CENTRAL Questions or Comments? Call 702-374-8999 This Product Fits The Following Vehicles 1997 - 2005 Buick, Century, Sedan Wiring harness involves splicing of the wires. Product Picture Part Number Product Description Installation Instructions 363740 Draw-Tite Frame Hitch & Drawbar ---1-1/4" Square Receiver Tube Opening ---Includes Removable Drawbar, Pin and Clip ---Neat Appearance, All Frame Attachments ---A-Coat Base w/ Black Powder Coat Finish ---Rated up to 3,500 lbs. Includes Everything Pictured: Custom Fit Trailer Hitch Draw-Bar w/ Pin/Clip Installation Hardware Installation Instructions This Hitch Fits The Following Vehicles: 1997 - 2005 Buick, Century, Sedan 1997 - 2003 Pontiac, Grand Prix, SE Sedan 1998 - 2002 Oldsmobile, Intrigue, All Styles Part Number 246590 Brand Draw-Tite Finish Black Powdercoat Class 1 Receiver size opening 1-1/4" Max gross trailer weight 2,000 lbs Max GTW w/ weight distribution N/A Max Tongue Weight 200 lbs Warranty Lifetime Installation Instructions [! [image] (https://www.trailerjacks.com/image/catalog/pdfdownload.jpg)] (https://www.trailerjacks.com/image/catalog/N24659.pdf). Draw-Tite trailer hitch ball mount part number 36061 is a 3-1/8" rise mount. This ball mount was designed specifically for class II trailer hitches and features solid welded construction for maximum strength and a custom fit.� This drawbar kit is 9-3/4" long and includes a pin and clip. "Standard Trailer Wire Connector --STANDARD TRAILER CONNECTOR. Female-Male Connector. 1 Electrical Connector. 2 Connector Cavities. Therefore all implied warranties that may apply to your part are limited to the duration of this written warranty. Overdrive has been in the automotive parts industry for over 15 years. FIND THE RIGHT PART FOR YOUR CAR. Ending Soon. Newly Listed. QUICK LINKS. MIRROR ASSEMBLIES. MIRROR GLASS. OTHER PRODUCTS. "AC Delco Trailer Wire Connector --. Condition : New. Therefore all implied warranties that may apply to your part are limited to the duration of this written warranty. Each warranty gives you specific rights, and you may have other rights which vary from state to state. Standard Motor Products TC427 Trailer Connector. Standard Motor Products are designed and manufactured to equal or exceed OE parts in every publishedor testable specification. Disclosure of Information Policy.